For survivors of war, suffering doesnt end with physical trauma. More than seven years of brutal conflict in Syria has left a growing number of Syrians with hidden wounds, battling psychological disorders. These problems, experts say, are more likely to worsen when survivors are displaced or end up seeking refuge. 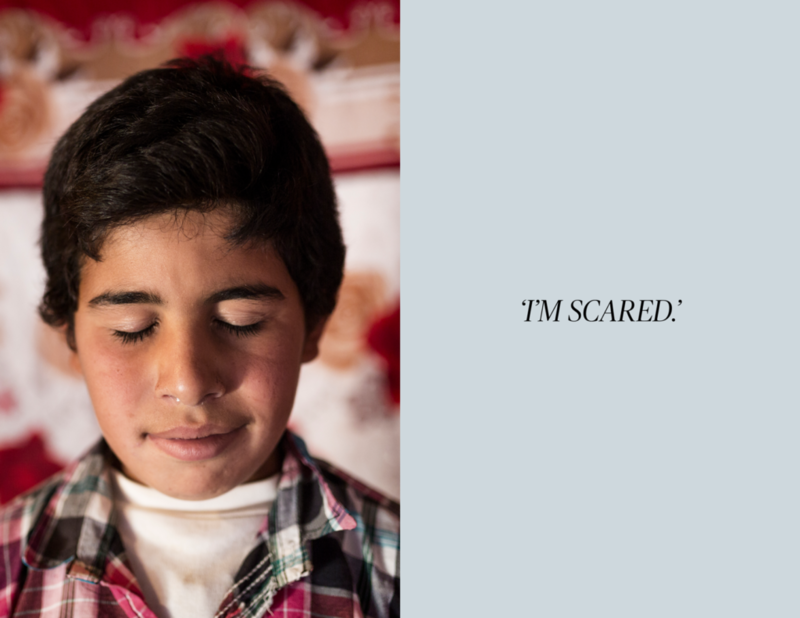 “Im scared,” says Hamzeh, an 11-year-old boy from Idlib, after 20 days of silence. The trauma he experienced in the war has left him stuttering, shy and ashamed. Before the conflict, Hamzeh was a happy and social child, says his mother Doja, 38. One day early in the conflict, an airstrike bombed their town. “The sound was massive,” she says, “and we were all terrified.” So began Hamzehs nearly three weeks of silence. He ran a fever and lost his appetite. A doctor told the family the boy was suffering from emotional shock. 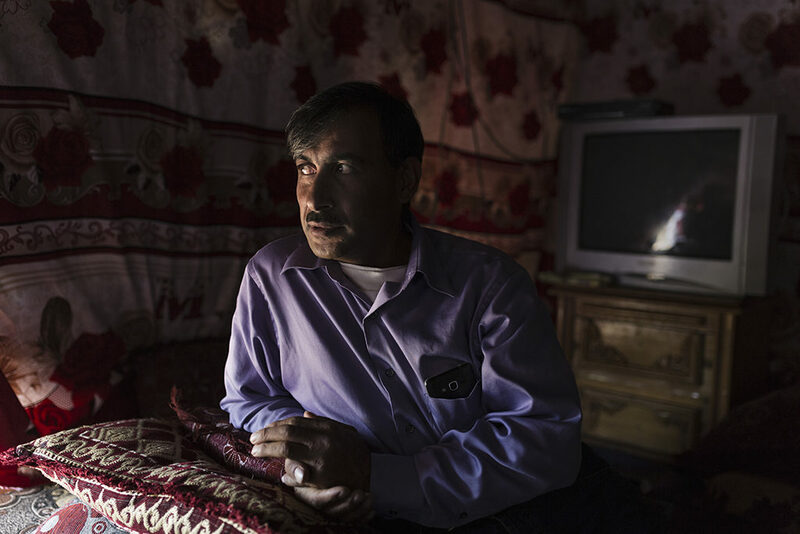 Hamzehs father, Mahmoud Al Ahmad, 41, knew his family had to escape: “I dont belong to this war,” he says. Leaving everything behind save for official documents, they found refuge in Lebanons Beqaa Valley. As they adapted to a new country, Hamzehs mental health took a backseat, until Doja sat down with a Doctors Without Borders (MSF) psychologist for his first therapy session. 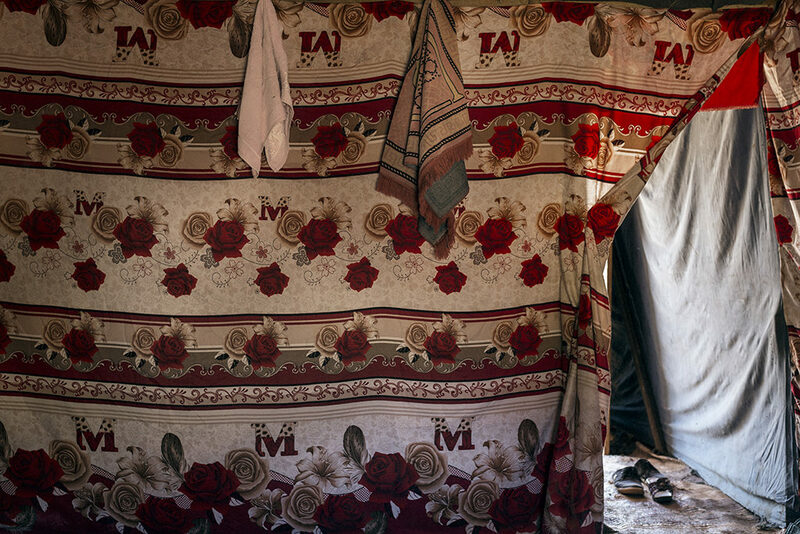 Hamzeh and his family live in a tent in the Beqaa Valley of Lebanon. Above, his mother pins back the door of their dwelling. 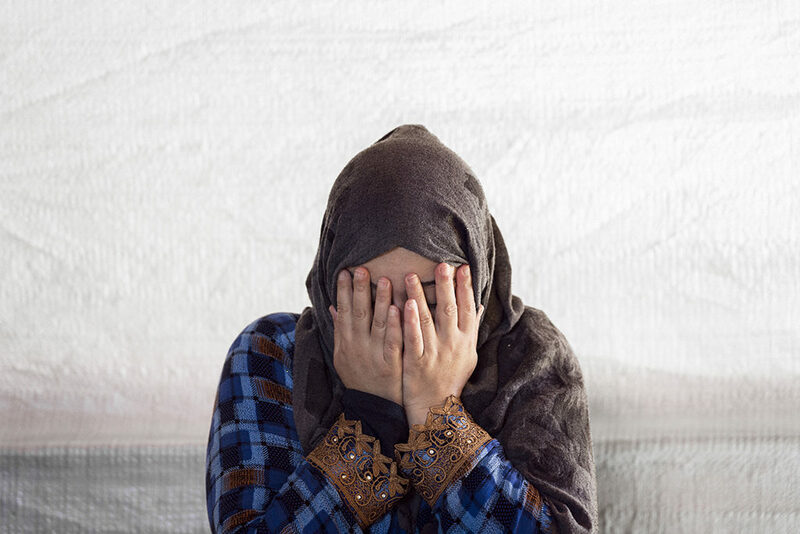 Mental illness remains a taboo throughout the Middle East, where patients and their families are afraid to seek treatment for fear they will be labeled as crazy, according to an MSF psychologist. It was clear to Hamzeh that he didnt fit in. At home, his father had no patience for his sons stutter and sometimes beat his son to try to force him to speak. Similar problems arose at school, where his peers and teachers couldnt understand his silence. Hamzeh was eventually suspended from school, ostensibly because he couldnt keep up with the coursework. Things finally started to turn around last year, when his parents found another school for him. “I love school so much,” Hamzeh says now. “I like writing and drawing. My favorite color is red, like the red flowers in the camp here.” He still receives psychological treatment sessions at MSFs mental health clinic in Baalbek. Hamzeh works in a book provided by his therapist. 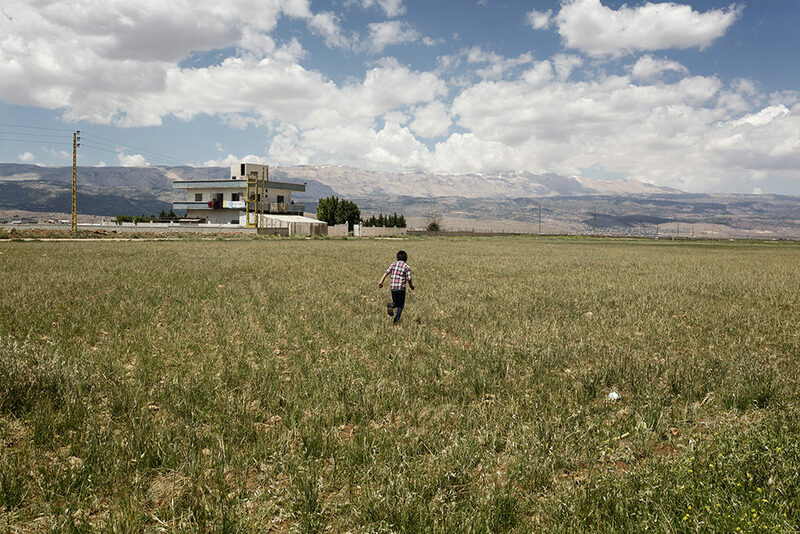 Hamzeh runs toward a villa where his cousin lives and his father works. Children exposed to conflict experience the worst psychological trauma. MSF launched its mental health program in 2015, and has since added a psychologist to each of its clinics in the Beqaa Valley and Tripoli. By 2017, the organization had provided 11,000 individual mental health sessions across their clinics in Lebanon. The first signs of Shahds trauma were actually visible: White patches of skin appeared around her eyes, and all over her body, signs of a disease called vitiligo, characterized by depigmented skin. Shahds mother, Furat, prays early in the morning. 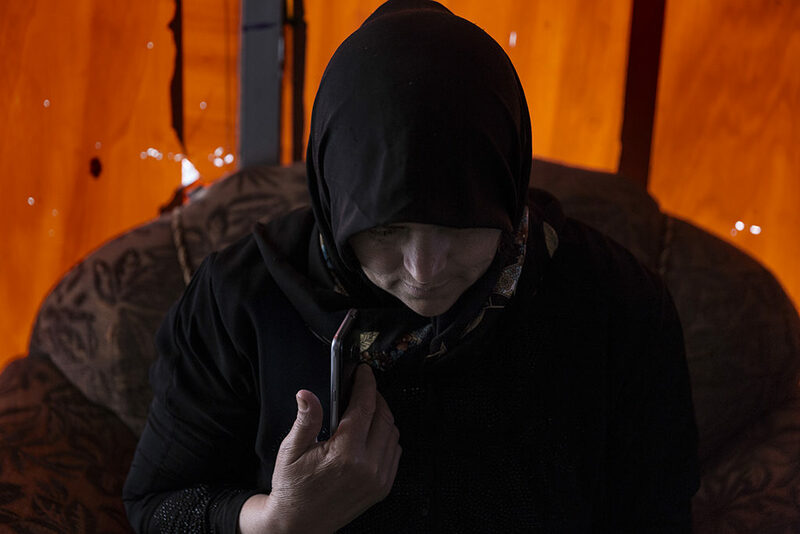 She and her husband live with their six children in a tent in Lebanon. 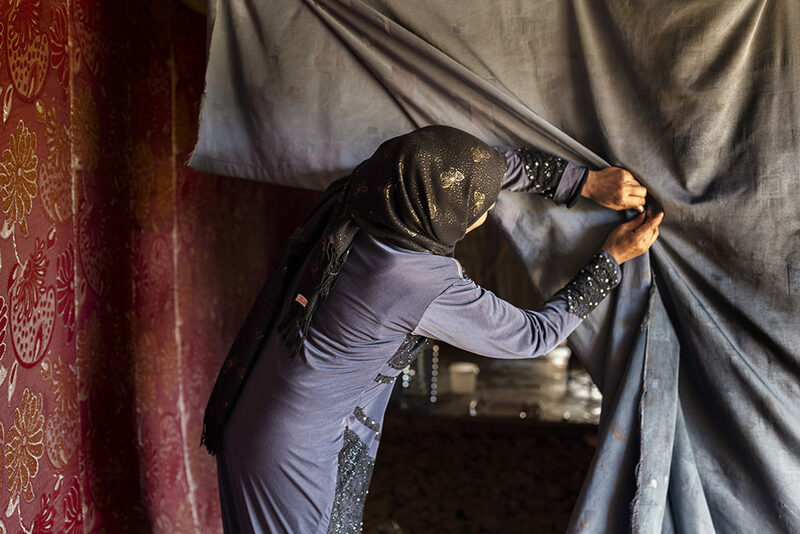 After three years under siege (and Islamic State rule) in Raqqa, Shahd, her mother, father and five siblings found a safe refuge in Balbak, Lebanon in the summer of 2017. Shahd retreated into herself, afraid to show her face. She let her hair grow longer, and styled bangs to cover her eyes. “We were worried,” her mother says, and so they sought out the mental health clinic. 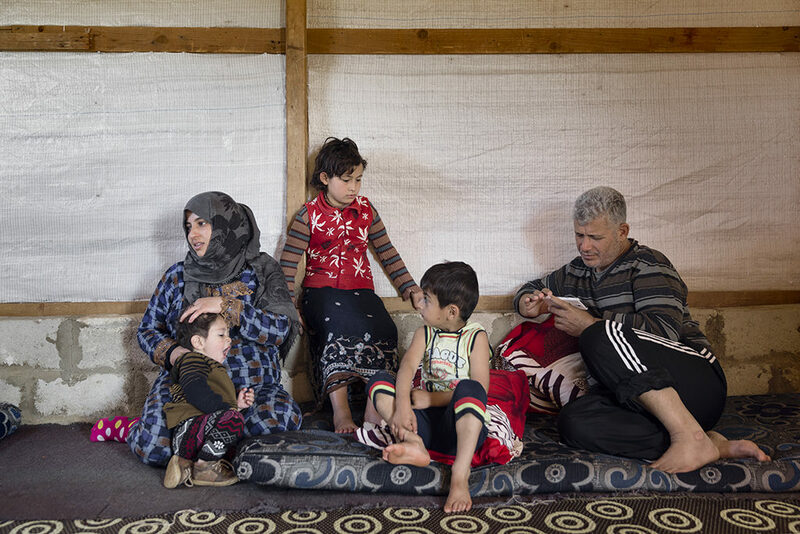 Shahds parents sit with her brothers and sister in their tent, while conversing with a refugee neighbor. One of Shahds drawings at the MSF mental health clinic in Beqaa Valley, Lebanon. Three years ago, Najwa only had five patients. That number is now over 100 per month, and it increases as MSF helps to convince refugees that mental health is just as important as physical health. 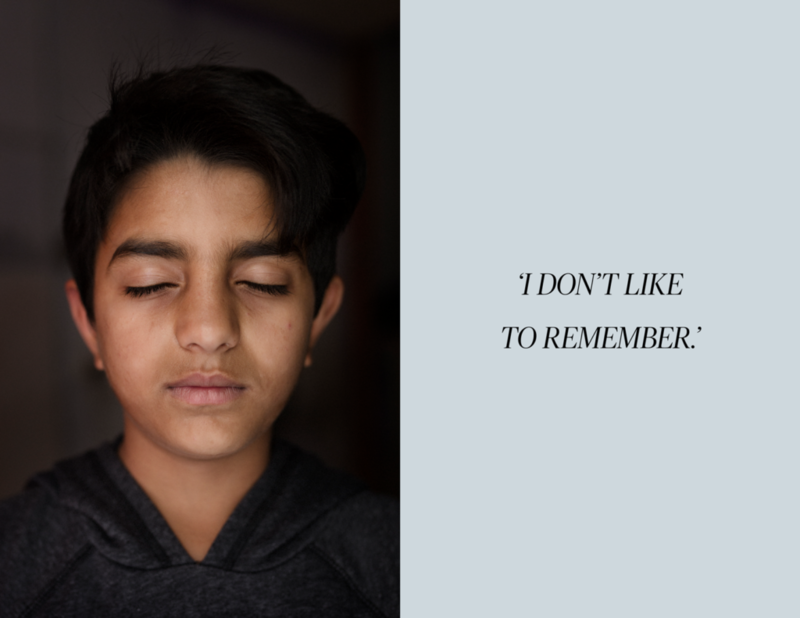 “I dont like to remember,” says Sanad, an 11-year-old from the southern countryside of Aleppo. Since that say, Eman says, her brother has lived in fear, wetting the bed at night and screaming in his sleep. Their mother, Zabia, is a widow and looks after Sanad, Eman and their 10 siblings alone. 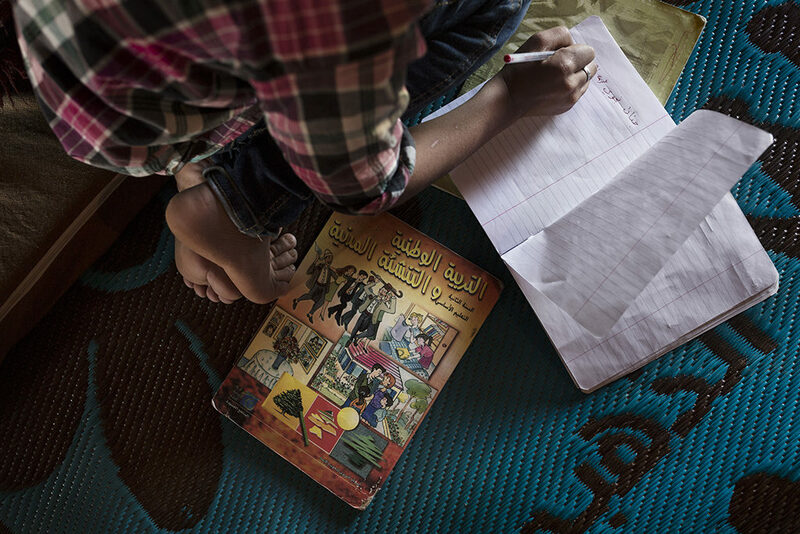 Forced into marriage when she was 12 years old, she never went to school and cant read. Her husband died of a heart attack during the conflict. Sanads mother, Zabia, listens to a WhatsApp message. She cant read or write, which makes audio messages invaluable. Early one morning, Sanads sisters, at right, rest on the floor of the windowless shop their family rents in Tripoli. 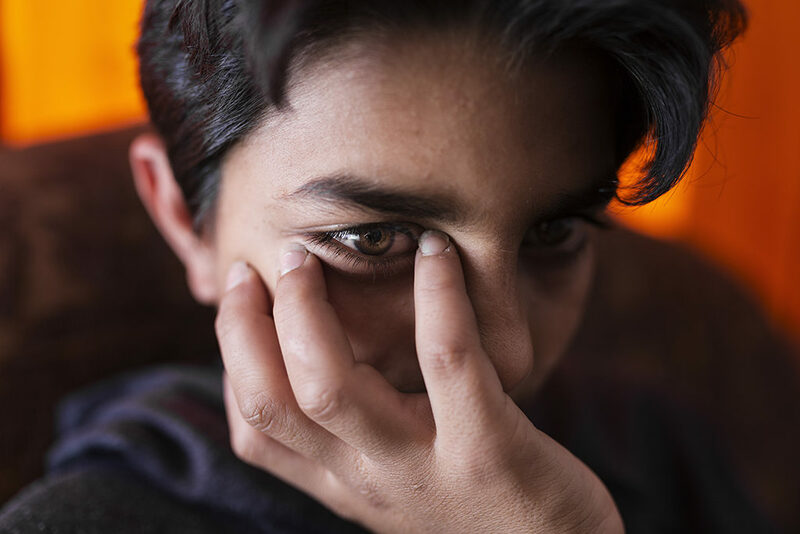 Sanad lost a cousin and a close friend in the assault, which only exacerbated his problems. He began to fear death more than anything, and his psychological torment lasted three years with no treatment. His mother had no idea how to help him, until she was approached one day by social workers from a group in Tripoli called Restart. They could see that Sanad needed urgent treatment. After a dozen sessions, his mother says hes found much comfort in being able to talk openly about his trauma. But therapy cant fix everything. Sanad still rarely speaks at home, a windowless shop in Tripoli. He works 12 hours a day at a grocery store, and complains of long hours and fatigue. “I have no choice but to rely on him to make a living,” says his mother. Carole Alfarah is a Syrian visual storyteller, based in Madrid and Beirut. She uses visual narratives to shine a light on forgotten people.